Here, the time is stopped! A GDR bungalow, in the style of the 70's / 80's years with covered terrace. 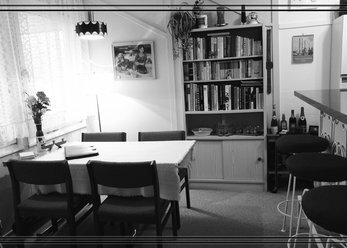 It is furnished with original objects from the period of the GDR. With a covered terrace. Can be used for film /-photo productions. Detached farm house with 2 barns and orchard in the Märkisch Oderland in the Jacobs way. 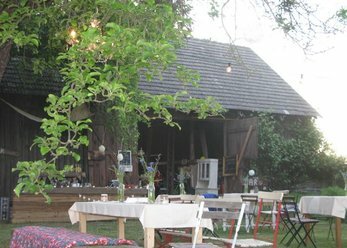 The two barns can be used, for example, for workshops, small weddings and private parties.